I teach at General Assembly in Seattle as a Part Time UX Instructor. One task that pained me early on while teaching was watching students scour the Internet for templates they could use to do user research, create site maps, and record usability tests — especially documents that could be used by using free collaborative tools. So I created my own. All of them use free tools like Google Docs or Draw.io as the platform, and I’m releasing them to the wild. As I reminded my students, as a designer you should never create anything from scratch. I may have “borrowed” some of these templates from other people. Additionally, some of the examples show what a Site Map can look like for common website patterns. Most importantly, they emphasize the research and usability testing portion of design, and are orientated to a lean approach of working with others. Kudos to Rebecca Destello for encouraging me to share these documents. She’ll be using them in an upcoming class at University of Washington. I would love to hear your feedback so I turned commenting on. The list will continue to grow as I continue to teach. We can talk about Design Thinking: Empathize, Define, Ideate, Prototype, Test for the uninformed. However, design is more framework and less process. It’s more guideposts, so you have a pretty good idea of where you are going, and adjust when it happens in asynchronous order. How many times have you gotten to Test and realized you’re solving the wrong problem? It’s called learning. That’s why design thinking it’s is there so that you can back up and start again. The gates help you have informed point of view, whether it is a start-up project or something that’s been existing for a very long time. The key is to go through the first steps of that process — Empathize and Define — in quick order, so you have a foundation to start. Here‘s what I answer before designing a single screen. Most organizations have a pretty good starting point. Some, like Microsoft, have had personas out there for years and had the muscle memory to use them. For other organizations, especially startups that have lucked into the product-market fit, their personas are a mess. The good news is that personas are never truly finished and may change over time. If you are designing, it’s always for someone. It’s better to get that someone out in the open so everyone has a common understanding. Start with provisional personas — a baseline of who the users are so you can revise them based on further research. There’s a lot of places within organizations you can start this research. We always had a Customer Success group that conducted research on users. It doesn’t take long, other than pressing an elevator button. Personas, at least three of them. They should pre-exist, and you’ve been using them to design. I wrote an article about creating lightweight personas, and don’t worry about them being right. Prioritize learning over correctness. Less than a day if there are no personas, and 20 minutes if there are. The story always needs to start there. How are they going to use the feature? What’s missing from most product development processes is how the users are going to use features within in the context of their environment. Set time duration, other personas or actors that may interact with the product, and what other processes they use. Include offline process, other products, and unforeseen delays. We did this a lot when at Jobvite: discussing how other products like Microsoft Outlook are used to accomplish the task outside of the application. It was important to understand the hiring process, for example, and how the candidates would go through the workflow. How important is this? If you ask more users what they want help with most, it’s to save time within in the context of their journey. They want their life to be easier. Write an implementation-free user scenario. State the steps the user will have to take go through the steps of using the feature, including any details on they solve the problem today. Emphasize personas and business process, and how long it will take. The time element is important because it might mean the difference between designing a step by step wizard and a different asynchronous guided process. The user scenario, ideally 500 words or less. People hate reading more than a page. A good way to test it is by reading it out loud. It should take 10 minutes to read it. Need an example? Go here. A good first draft of a user scenario can take less than 4 hours, and there are a lot of good examples to draw from. Do your products have a similar feature? The most valuable 30 minutes of this process: Screenshots and URLs of what your product does today. Set the context of not only what the product is, and how your personas use it. If you are working on an application, you should be familiar how it works, inside and our. Use your product at least a few hours a week. While your wireframes may be your understanding, everyone else you are working with is living in the product. Document screen shots, so everyone has context. Other participants (i.e. Product Manager or Engineer) in the design process should also be able to do this. The act of documentation meets two important goals: setting the context and forcing the question, “Does this have a similar intent?” Writing and capturing content is a good thing because it forces thought much more than a verbal conversation. Screenshots. Print them out and tape them to a wall. Are there other products that fit the mental model? The internet isn’t a blue sky thing where everything should be reinvented. There are established mental models users understand intimately. The rule with my teams: Find five products, and talk to five people that may have used a similar product. Takes a day or less, and you get great ideas out of it. Spreadsheets: The first electronic spreadsheet, VisiCalc, was invented in 1979 by software pioneer Dan Bricklin. Some spreadsheet applications date back to the 1960’s. The Excel team followed the mental model of other spreadsheets and just did it better. The pre-existing mental model forms the basis of a lot of other applications, like Google Sheets. Shopping Carts: Online shopping dates back to 1979. There are millions of examples. Amazon is a good place to start. Classified Websites: Craigslist is the baseline, but I’m sure there’s a cave wall somewhere in the world where someone etched selling an ox for corn to others in the settlement. Before the internet. Before print. Before almost everything. Even the “new stuff” like Voice UX is not new. An acquaintance of mine, Philip Hunter, works on the Amazon Alexa team. His voice experience for automated systems predates Alexa by 20 years, and he holds patents in the field. It’s a pretty good guess he’s not making stuff up. There are often barriers to finding examples in your domain. Our competitor’s software requires a significant purchase, which means we regularly don’t have access to competitors. So we look to other categories for the best ideas. If you understand that your users are using all kind of other applications, you can design something that’s familiar and fits their needs. So now you know you don’t have permission to reinvent the wheel — invented in 3500 B.C. — let’s get to work. Use the same process you performed for your existing product. Find five or so other products that do the same thing and do your research. Admit that you’re stealing ideas and question their context. Use them as a baseline. Put them in a document that everyone can access. Even better, post the screen shots on the wall in a hallway. You’ll involve more people in the design process, and they’ll suggest other “like” applications. A document containing screenshots. Print them out and tape them to a wall. A day or less. Use Google Image Search. They’re essential for starting any design process, but they can be done quickly and efficiently within the constraints of your environments. The time investment you need to make before starting up a wireframe tool like Axure — i.e. doing a bit of guerilla research that sometimes involves not talking to users — is important. Yes, during your user research you’ll uncover other applications that they use, but if you this, you’ll have a good baseline to start from, which is more than most products have. When you’ve reached the phone screen or the in-person interview step, you’ve gotten past the hard part: you have demonstrated that you have the qualifications to work at the company. You’re now being judged on whether you have the soft skills and culture fit. After holding previous talks at The Seattle UX Meetup group, I’m reminded that many interview expectations are unstated, and most companies don’t understand how to interview. Responsive design is a buzzword in User Experience. Adoption is moving at blazing speed. Websites such as Disney.com have redesigned their sites so they work across multiple devices. Designers are blogging all kinds of advice about what mobile strategy we should follow. But really, mobile first for everything? How to build a great user experience design portfolio and tell stories that get you hired. By Troy Parke and Patrick Neeman, presented at the Seattle Information Architecture & User Experience Meetup December 10, 2013. Thank you Misty Melissa Weaver for inviting us! I was a coach at Seattle Startup Weekend on Saturday. Thanks go to Madrona Venture Group’s Hakon Verespej for the invite — it was a lot of fun! And congratulations go out to LilyDrive, a startup I coached, for the win. Watching people build their ideas is a wonderful experience. I’ve gone through Startup Weekend myself: I participated in the Los Angeles 2009 event, and learned a lot about working with a team in a time compressed environment. Thank you for all those attended this session at Product Camp Seattle 2013. They’re a great way to communicate requirements. Combined with epics, user stories tell a product narrative so everyone understand the essence of what they are building, yet don’t restrict creativity. User stories are an outgrowth of agile methodologies, and are used to state requirements without writing endless pages of documentation. Groups of user stories are called “epics”, and if a user story is too big, it can be broken up into smaller stories for the developers to work with. While they may not replace high-level product requirement documents in all organizations, they can be used to break those requirements into bite-sized pieces that are easier to digest, understand, and build against. This is a great video. We all should watch. There is always time. Understanding your audience is essential to building great products. That should be the first question of every single project. It should be followed by, “What are their motivations?” or “What are their goals?” If you don’t know who you’re designing for, wireframing is a waste of time. I was once at fault: I would start projects without doing user research because I never thought there was time. After a few failed projects and wasted hours, I started every new project with at least some research so I could understand the target audience. One cost-effective approach of modeling your audience is personas.Personas are user models derived from data to solve design questions. They are not new (my apologies to Alan Cooper), but are a derivative of market research with origins in the 1920’s. Personas are valuable, but are biased because they are based on assumptions and data selected by error-prone humans. I love doing usability testing. There’s nothing like putting your assumptions to the test in front of users. Not only do you get to see the your work in the wild, you’ll frequently get amazing ideas from users because they use the system everyday. It’s something you have to make time for. I’m surprised by how many designers don’t. They should spend less time drawing and more time talking to users. You know, get out of the building. This is classic internet meme stuff. Awesome infographic. Designers everywhere will agree. Many of my friends either manage or mentor teams of designers. Their main complaint about new designers? They’re unprepared for the real world of interaction design. 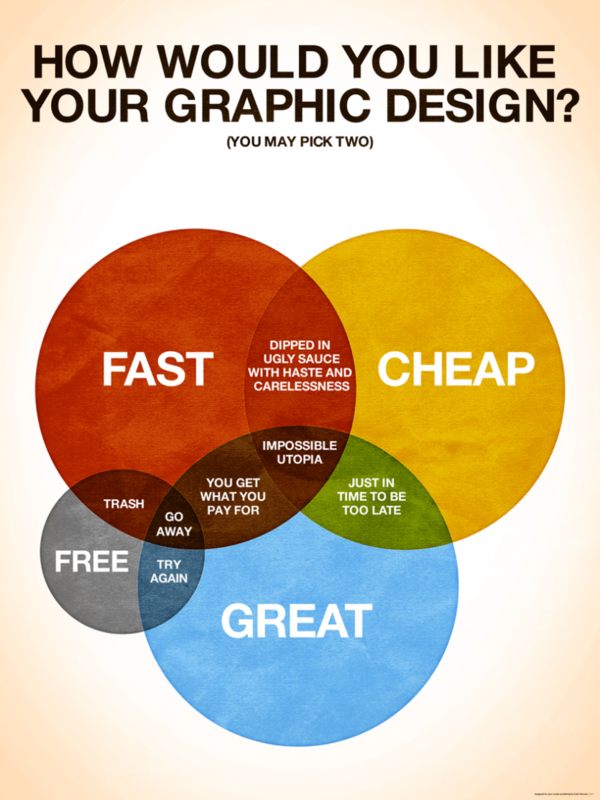 Great infographic by Web Designer Depot. Seriously. It’s true, all of it. Imagine my surprise when my phone went off at 1:48 a.m. with an AMBER Alert. I agree that the Hannah Anderson story is a sad situation, and I think it’s even more useful that there are now Emergency Alerts on an iPhone. However, I’m pretty sure I’m nowhere near where they are at, and the location based targeting needs work. There should be some rules when certain non-essential alerts are not sent (like, not 1:48 a.m.). We should be able to configure what time we can receive the alerts. 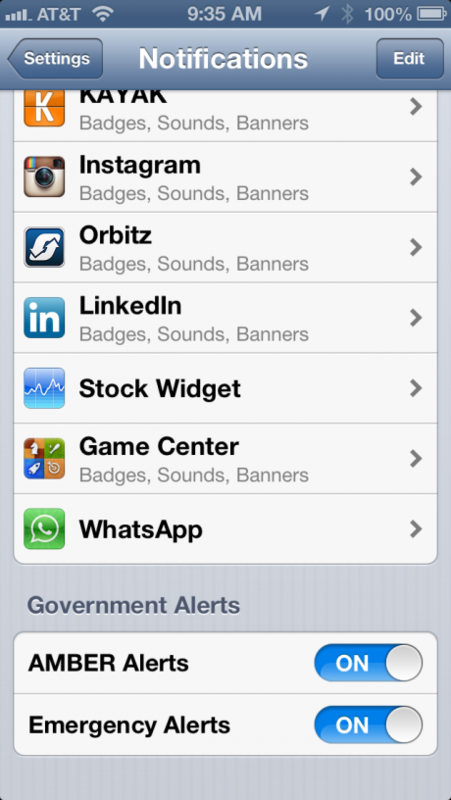 In the mean time, here’s how you turn Amber Alerts off on your iPhone. You start a new job at a new company. They talk about infusing design thinking, and the VC’s get all excited. Images of awards go dancing through the CEO’s head and the company is heralded as the next Apple. A year later the design team is fired, nothing gets launched, and the legacy product design keeps plodding along. It’s status quo, but the company slowly moves towards profitability and a sale.